Mega Powerstar Ram Charan is now on cloud nine and expresses his excitement on his Dad Chiranjeevi's 150th film shoot which has been commenced around 11.45 AM at Hyderabad. Within no time, the actor has shared the pics from the location and expresses his gratitude on his loving Dad. " My father has always supported me in all my ventures and I am very happy to be able to do this for him.its Every child dreams of being able to pay his parents back for everything that they have done .I take immense pride in the fact that I started my production journey with my father..." informed Ram Charan. Currently, Ram Charan is in Kashmir to shoot his upcoming film shoot of Dhruva being directed by Surender Reddy which has Rakul Preet as the leading lady. 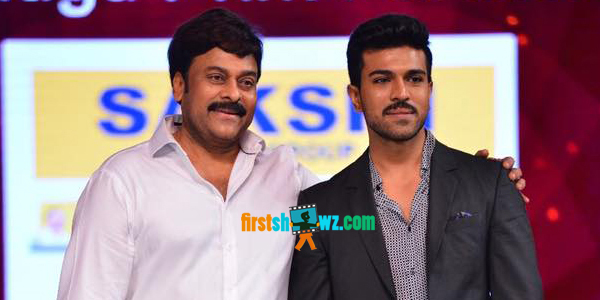 The actor will soon visit the sets of Chiranjeevi's 150th film.